Carnegie Mellon University’s Carnival Weekend is three days of amusement park rides, adventures in booths, unhealthy snacks and buggy races. And it gives alumni, students, faculty and staff the chance to reconnect. Thursday, April 20 at 4 p.m. Internationally acclaimed statistician Nancy Reid will give a talk on “Distributions for Parameters.” Reid, University Professor of Statistical Sciences and the Canada Research Chair in Statistical Theory and Applications at the University of Toronto, will put developing distributions for parameters, which are often done without relying on prior probability measures, in the context of big data and data science. And she will provide an overview of approaches such as confidence distributions, generalized fiducial inference, inferential models and belief functions, with a specific focus on common elements and calibration properties. Friday, April 21 from 1:30 - 4:30 p.m. The first annual Dunk-a-Dean event sponsored is by the University Police Department in an attempt to raise awareness and funding for the Special Olympics of Pennsylvania. Dietrich College Dean Richard Scheines will be in the dunk tank from 2-2:30 p.m.
Friday, April 21 from 3-5 p.m.
Stop by and learn about projects the students in the Department of Statistics are working on. Did you know that the Statistics Department has one of the fastest growing undergraduate programs around? 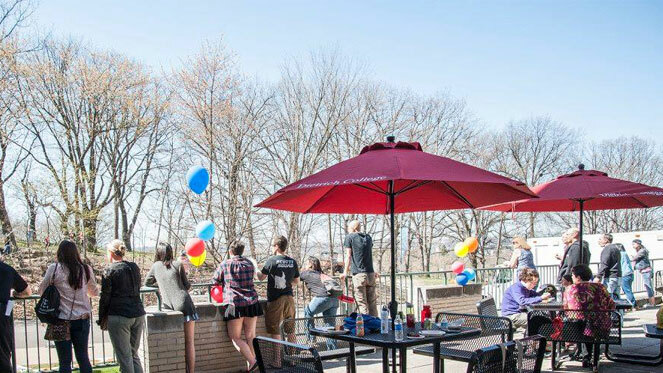 Saturday, April 22 from 11:30 a.m. - 1:00 p.m.
Watch the end of the buggy races, visit with old friends and meet new ones at the Dietrich College’s annual reception. Saturday, April 22 from 2:30 p.m. - 3:45 p.m.
For decades, time travel has been portrayed in movies, books and entertainment as a tool to study the past or future or to alter any past events. Many physicists have postulated that time travel is possible, but, before we spend millions of dollars pursuing that goal, we must ask ourselves: even if we could travel through time, should we? Is time travel morally permissible, morally prohibited, morally obligatory or somewhere in between? Join Mara Harrell, teaching professor of philosophy, as she explores these questions – and more – at CMUThink. View the full Carnival Weekend schedule. View photos from last year’s Carnival reception.